Henry Dvorken has been investing in notes for almost 30 years. There is a lot of hype and expensive products in the market. This is the best product I have found and it is a bargain. One deal will easily pay for this product. 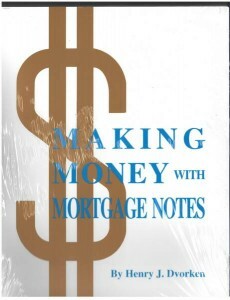 It is a step by step manual of how to buy and sell notes complete with forms.